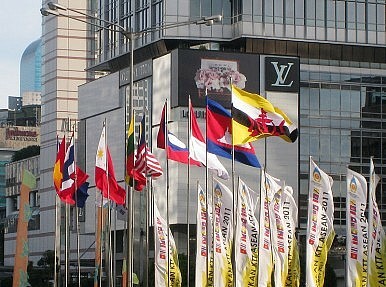 ASEAN Stands Up to Burma? Thein Sein has had a tough start to the presidency in Burma. But denying Burma the ASEAN chair would have to be only the start of increased pressure. Burma’s hard-line new dictator, President Thein Sein, has suffered a series of setbacks in his attempts to persuade the international community that there has been real change in Burma. First the United States and Canada ruled out relaxing their economic sanctions, saying they wanted to see substantive change first. Then the EU followed suit, maintaining its economic sanctions, and only temporarily relaxing diplomatic sanctions on a small number of government officials. These setbacks alone would have been disappointing for Thein Sein—as someone in the top circle of the dictatorship for 14 years, he was one of the architects of the new Constitution, which was designed in part to persuade the international community to relax pressure against the regime. But now he has received another blow, one that will hurt even more because it was dealt to him by a friend. Association of Southeast Asian Nation leaders have delayed a decision on his request for Burma to assume the ASEAN chairmanship in 2014. This isn’t just a public humiliation for Thein Sein, but also a major diplomatic miscalculation. So why didn’t he sound out fellow ASEAN members before making his bid? ASEAN has also laid the groundwork for its get-out clause for refusing the request, while avoiding the real political reason, stating that Burma must have the physical infrastructure required for becoming chair. If even ASEAN, one of the Burmese junta’s closest allies, doesn’t accept that there has been genuine change in the country, what hope do they have of persuading the rest of the world? Perception and reality have often been distant bedfellows in Burma. A few fine words and vague promises from the dictatorship are enough to get diplomatic pulses racing. Throw in the token release of a high-profile political prisoner and the generals know that diplomats and the media will be talking about change being on the way. They know this because they’ve pulled the same trick repeatedly over the decades. Last year, after blatantly rigging elections, the dictatorship played its trump card, again. For the third time, they released Aung San Suu Kyi, and initially at least, the tactic worked. The rigged elections were forgotten or ignored, as were the 2,000 political prisoners still in jail, and the increased attacks against ethnic minority civilians in eastern Burma. Female empowerment must be a top priority as Burma moves towards true democracy.